Poe Ballantine’s new memoir is a fascinating book on many levels. At its bare bones it is a story about failure – personal and professional – and the myriad ways people adapt to this very human condition. Ballantine’s marriage to a beautiful Mexican woman is fraught with miscommunication and attendant conflicts. Their delightfully curious son is allegedly autistic, money is in seriously short supply, and the author is struggling with a new book he does not quite believe in. The setting is Chadron, a small town on the High Plains of Nebraska, a spectral landscape hewn by brutal winters and summer wildfires. It’s a place where everyone knows everyone, somewhere people go to disappear – and sometimes disappear from. So when a local physics professor goes missing, conventional wisdom has the slightly odd academic simply going off the grid. The professor turns up 95 days later, bound to a tree and burnt beyond recognition, and Ballantine finds the book he is searching for. As America’s media find sudden delight in nowhere Nebraska, Ballantine becomes the natural repository for a story in which no one is spared – police, friends, colleagues, psychics, ghost-hunters – not least the author, whose lowly economic status is so irreconcilable with his wife’s expectations of life in America that his work as a writer stands as no more than the feckless trifling of an inveterate layabout. This is a wonderful book: funny, evocative, with absorbing quotidian details and wry asides on the nature of existence. It is not a book full of answers, rather it asks and ponders the most fundamental of questions: What the hell are we doing? 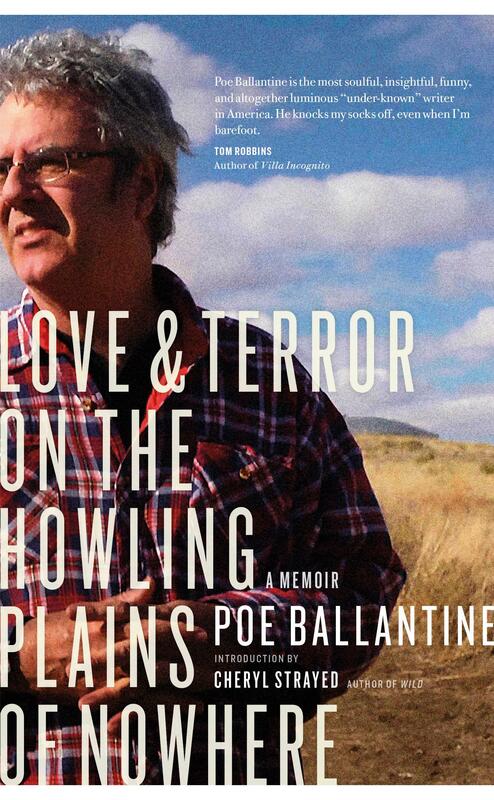 Poe Ballantine is not presently well known in Australia, but with Love & Terror on the Howling Plains of Nowhere, I have no doubt that will change.